Fiberguide Industries will exhibit its new Square Core for fiber arrays for star mapping applications, along with specialty optical fibers and high power assemblies at the SPIE Astronomical Telescopes + Instrumentation 2014, booth 201. The show takes place June 25-26, 2014 at the Palais des Congrès de Montréal (Montreal, Quebec, Canada). 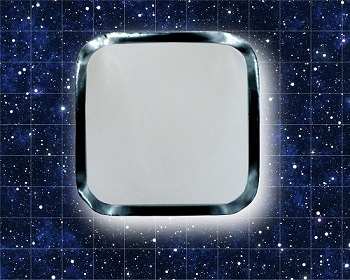 Fiberguide’s new ASQ/SSQ series square core optical fibers are ideal for astronomical spectroscopy. With a square core and square cladding, the fiber contributes to improved image scrambling into the spectrograph with increased capture area. The fiber offers homogenized output distribution over broad application wavelengths–190nm to 1250nm (High OH) and 300nm to 2400nm (Low OH)–with core sizes from 100µm – 1000µm. Visitors can also learn about Fiberguide’s full range of specialty optical fibers. Customized to user specifications, fiber sizes range from 4.3um singlemode to 2000um multimode core sizes with temperature capabilities up to 700°C. The company also offers optical assembly capabilities, including single- and multi-legged configurations and a full line of accessories including vacuum and pressure feed-throughs, collimators, and focus guides.